The National Marijuana Commission is currently conducting a survey in both islands as to the scale of marijuana use in the Federation of St. Kitts and Nevis in response to a growing public lobby for the legalisation of the illegal weed.. Doctor Hazel Laws, Chairman of the St. Kitts and Nevis National Marijuana Commission who spoke at a town hall meeting Nevis said that the information that will be gathered during the survey will be useful to the Marijuana Commission. The aim of this study is to try to determine the scale of use of marijuana in the Federation of St. Kitts and Nevis. The commission was established in 2017. Prime Minister of the Federation Hon. Dr. Timothy Harris previously said during a press conference that the establishment of the national commission is a follow through of a commitment made by his administration to facilitate national engagement on the issues surrounding the production and use of marijuana in St Kitts and Nevis. Dr. Laws said cannabis is easily the most commonly used illicit substance globally. There is now an increase in demand for cannabis for medical purposes. Persons in the Caribbean region and in the Federation use marijuana. An increasing number of persons living in St Kitts and Nevis have joined the lobby asking for amendments to the local laws. So the government convened this nation marijuana commission in response to this cry, she said. She said that the mandate of the Commission is to conduct a situational analysis and explore the evidence regarding the social, medical, legal, economic religious implications of use of marijuana. 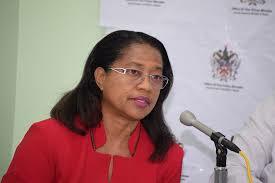 Our aim is also to engage all the people of the Federation through town hall meetings and focus groups, she said. To date Antigua and Barbuda, Jamaica, the Cayman Islands, Puerto Rico, Malta and Bermuda have decriminalized the possession of small amount of cannabis.